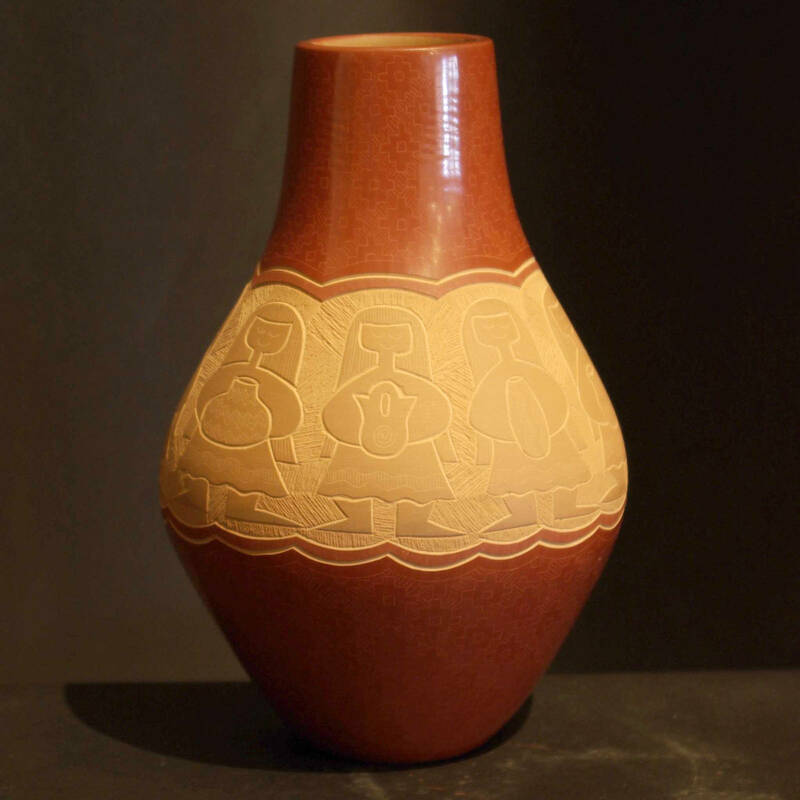 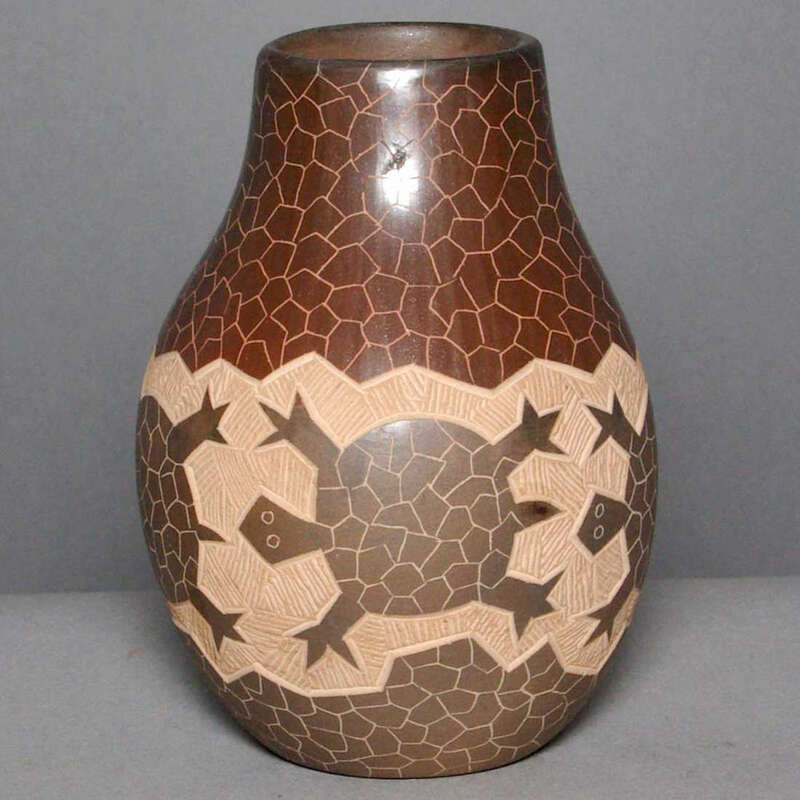 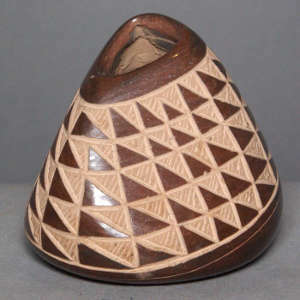 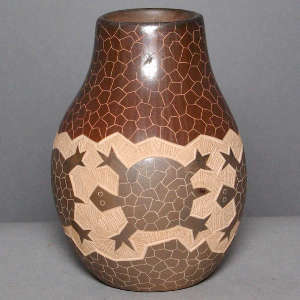 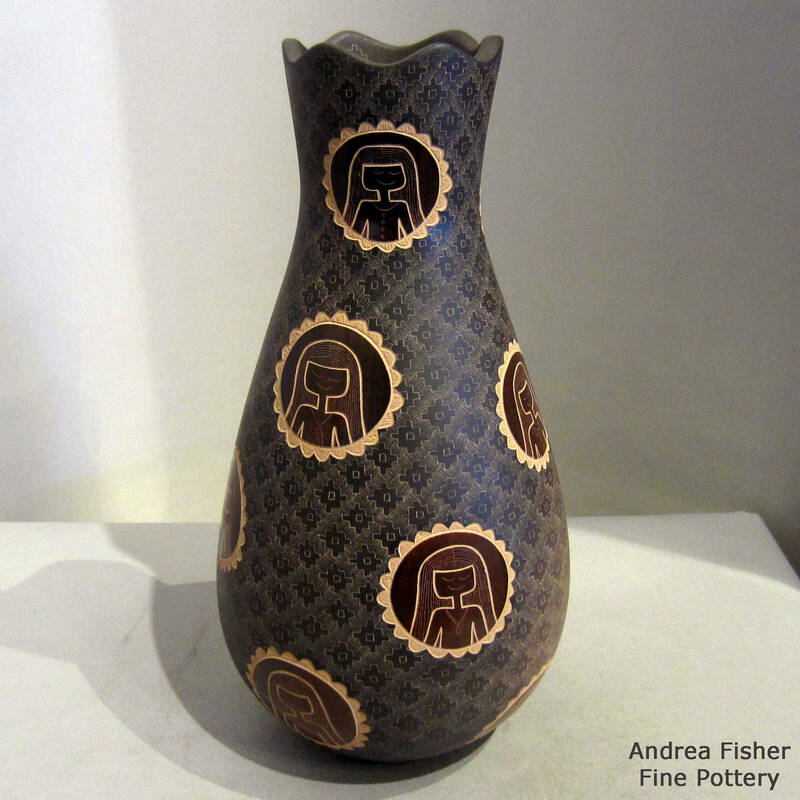 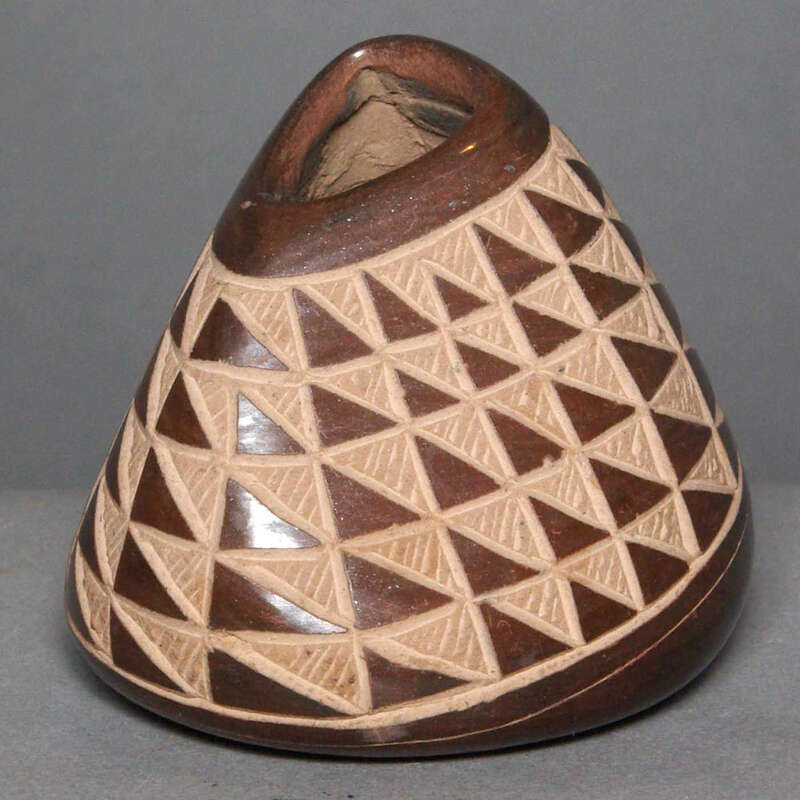 Jody Naranjo is a contemporary potter (using traditional methods) who was born into Santa Clara Pueblo in 1969. 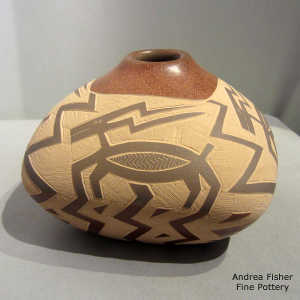 She learned the ancient art from her mother and other female relatives (among them her aunt Jody Folwell and cousin Roxanne Swentzell). 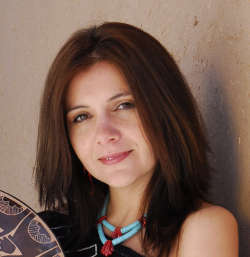 She was selling her pottery at the New Mexico History Museum at the age of 15 and attended the Institute of American Indian Arts at 19. 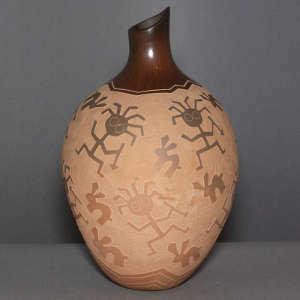 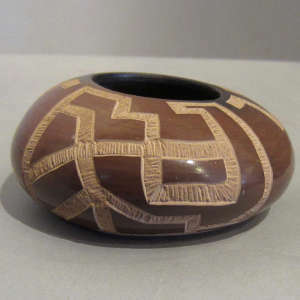 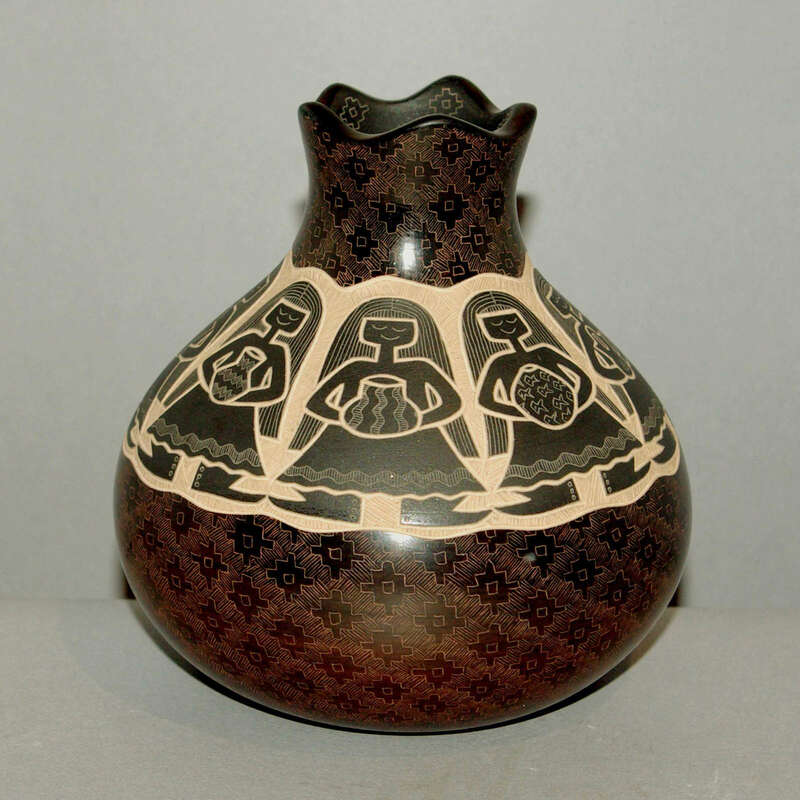 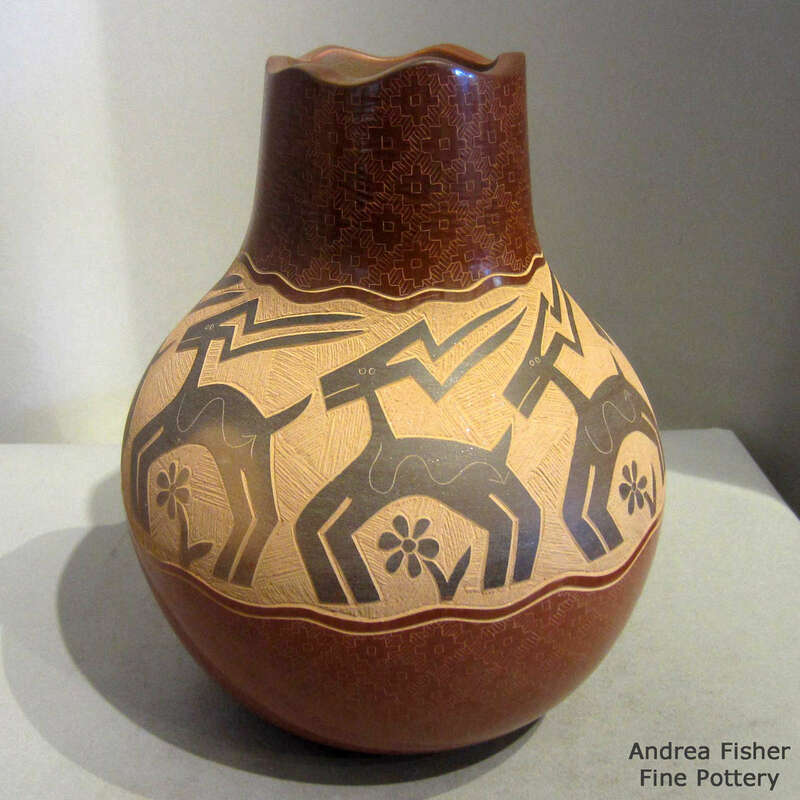 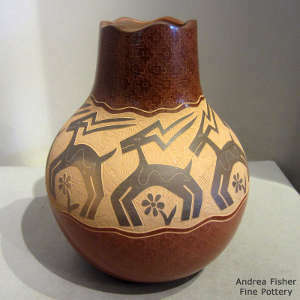 At 23 she took the First Place ribbon for Contemporary Sgraffito at Santa Fe Indian Market and her career was off and running. 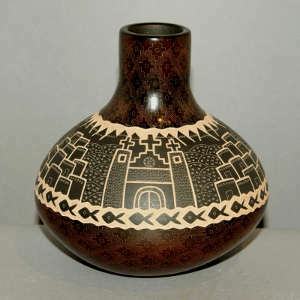 Since then she has earned a long list of top awards at the nation's leading venues, including the highly coveted "Best of Show" award at the Eiteljorg Museum Indian Market, along with scores of First Place, Best of Division and Best of Class awards at the Santa Fe Indian Market, Eiteljorg Museum and the Heard Museum Guild Indian Fair and Market.